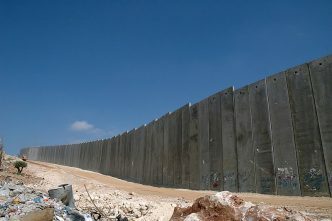 In Australia, there’s a tendency to see Israel purely through the lens of the Palestinian issue and the peace process. But there’s really no country in the Middle East whose interests are more closely aligned with Australia’s than Israel. That’s why four years ago ASPI, with the generous support of the Pratt Foundation, established an annual strategic dialogue with Israel, teaming with the Begin–Sadat Center for Strategic Studies (BESA). The aim was to examine areas of defence and security cooperation in which our interests are aligned, like counterterrorism and cybersecurity. The fourth annual Be’er Sheva Dialogue was held in Melbourne earlier this month. It once again brought together defence officials, senior parliamentarians and analysts from ASPI and BESA and elsewhere to discuss areas of strategic common interest and potential collaboration. The dialogue is named in honour of the historic Anzac Light Horse victory at the Battle of Beersheba during World War I and alternates its location between Australia and Israel each year. Australian parliamentary participants were well represented this year and included Assistant Defence Minister David Fawcett, Assistant Home Affairs Minister Linda Reynolds, Shadow Assistant Cyber Security and Defence Minister Gai Brodtmann, Shadow Attorney-General and Shadow National Security Minister Mark Dreyfus, and Shadow Assistant Defence Industry Minister Mike Kelly. Defence Minister Christopher Pyne addressed the dialogue in a dinner keynote speech hosted at Raheen. The Australian side was led by the head of ASPI’s defence and strategy program, Michael Shoebridge, and the Israeli side was led by BESA’s director, Efraim Karsh. The sessions included an overview of regional perspectives, a review of geopolitics in in the Middle East and Asia, counterterrorism, Australia–Israel defence cooperation and cybersecurity. Boaz Ganor, founder and executive director of the International Institute for Counter-Terrorism at the Interdisciplinary Center in Israel, spoke on the growing threat from lone-wolf terrorists. The session proved to be especially timely and prescient given the Islamist terror attack in Melbourne eight days later. A number of recommendations from previous dialogues and from ASPI’s The wattle and the olive report have now been taken up by the Australian government. These include Prime Minister Scott Morrison’s recent decision to post an Australian defence attaché to Israel, and the establishment of a two-star dialogue between the Australian and Israeli defence forces, the first of which was held earlier this year. Other measures include the signing of a memorandum of understanding on defence industry cooperation and the convening of a joint track 1.5 cyber dialogue in Australia. There was a recognition at this year’s dialogue that the two sides need to talk more about China and its investments in critical infrastructure. 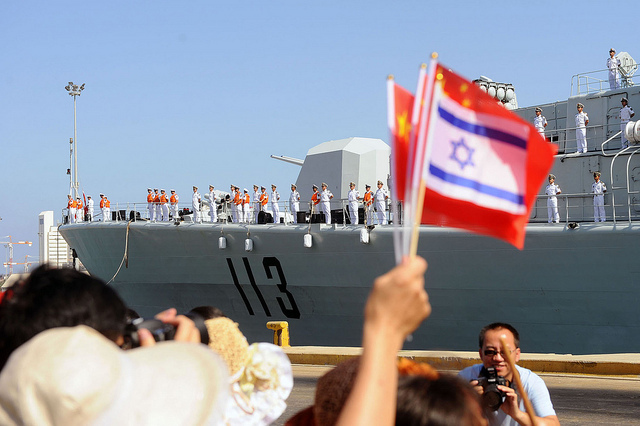 For example, Israeli security analysts have expressed some concerns about China’s increasing presence in the Mediterranean region as part of President Xi Jinping’s Belt and Road Initiative and about China’s growing role in Israel’s maritime domain. The Shanghai International Port Group is expected to take over the running of a new private port at Haifa in 2021.The former chief of US naval operations, Admiral Gary Roughead, stated in September this year that he believed that a Chinese-run port in Haifa would mean that US Navy ships couldn’t regularly call there. That was because of the likelihood that Chinese intelligence activity would present an enhanced risk to operational security. Participants at this year’s dialogue agreed that more work could be done on pursuing increased cooperation on defence industry and research and development, and even exploring the vision of joint capability development in some areas. One idea raised was to examine trilateral opportunities in defence industry cooperation for Israel, Australia and South Korea. The dialogue considered the need for an exchange on the lessons that our military leaders are learning from their operational experience. It was suggested that benefits could also be gained by both sides looking at new energy sources for defence. It was proposed that a high-level officer be sent to study at the Israeli National Defence College and an Israeli officer be posted to the Australian Defence College. Australia, it was also suggested, could learn more from Israel about the role of the healthcare sector in preparing for terrorism as well as social media open-source analysis in countering terrorism from lone actors. Australian delegates noted their appreciation of the willingness of Israeli intelligence to share information with our security agencies to foil an Islamic State plot to blow up an Etihad flight from Sydney last year. 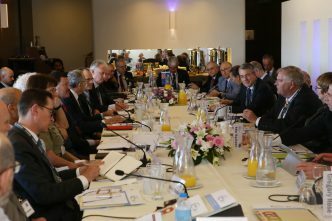 One proposal was that Israel’s and Australia’s prime ministers and selected ministers hold a dialogue every few years, similar to the annual meeting between Israel and Germany. It was suggested that there should be greater exchange agreements between the two countries for faculty and students in areas related to strategic studies and international relations. One participant suggested that each year a special issue of a suitable prestigious journal be devoted to Australia–Israel relations. There was no shortage of ideas for future dialogue topics, including nuclear proliferation, US relations with Israel and Australia, public diplomacy, information warfare and the idea of China as a ‘frenemy’. 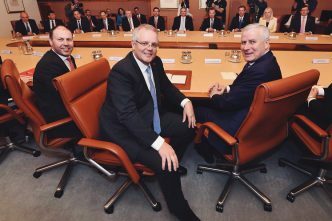 Both sides agreed that space policy was an area of growing interest in both countries (Australia recently established a space agency) and that space research could form the basis for future discussions. A key finding from the four dialogues to date is that Australia and Israel can cooperate in strategic affairs to the benefit of both countries. 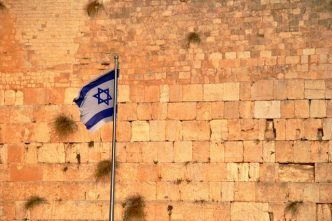 Closer ties between Australia and Israel in recent years have only increased the importance of the Be’er Sheva Dialogue. Anthony Bergin is a senior analyst at ASPI and a senior research fellow at the Australian National University’s National Security College. He is the co-author of The wattle and the olive: a new chapter in Australia and Israel working together. Image courtesy of Israel Defense Forces on Flickr. 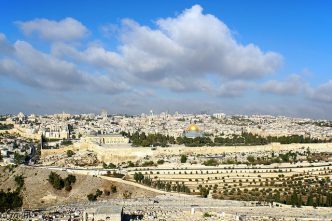 A move to Jerusalem: at what cost?